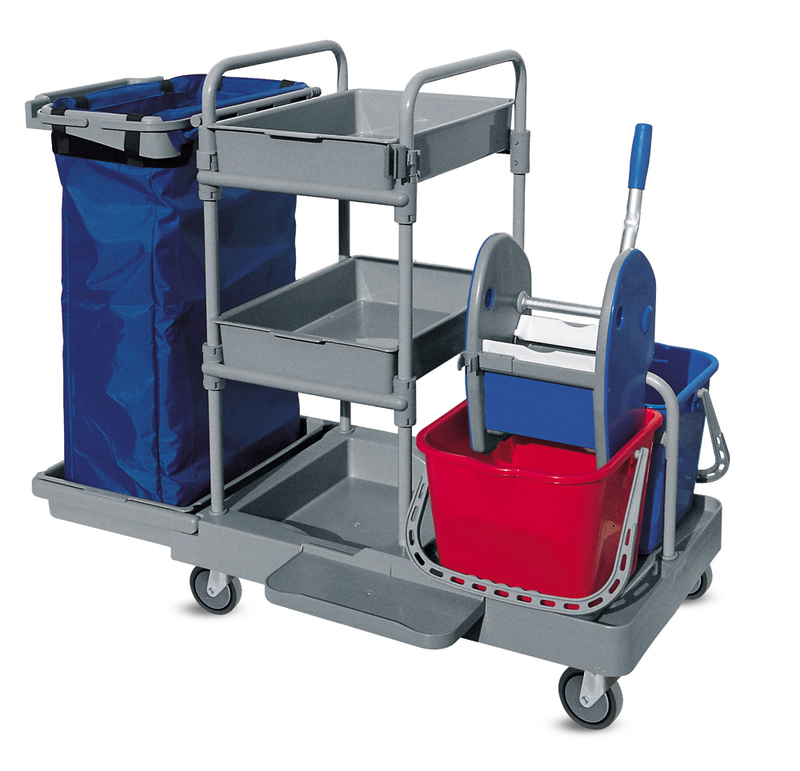 Features 2 x 25L separate buckets on mobile trolley with ergonomic mop wringer press with push handle. 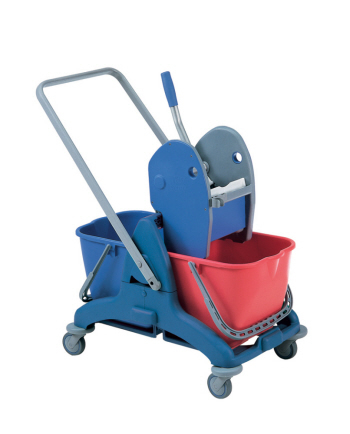 For use on larger floor areas requiring exacting hygiene control , keeping soiled water separate. Buckets can be purchased separatley. See "general use buckets" page.